I am appalled, Tober! 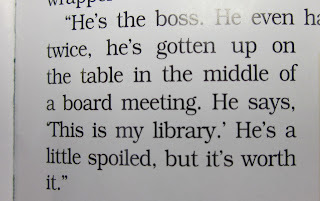 Don't you have even one person who will speak FOR you, the Boss, at that Library? 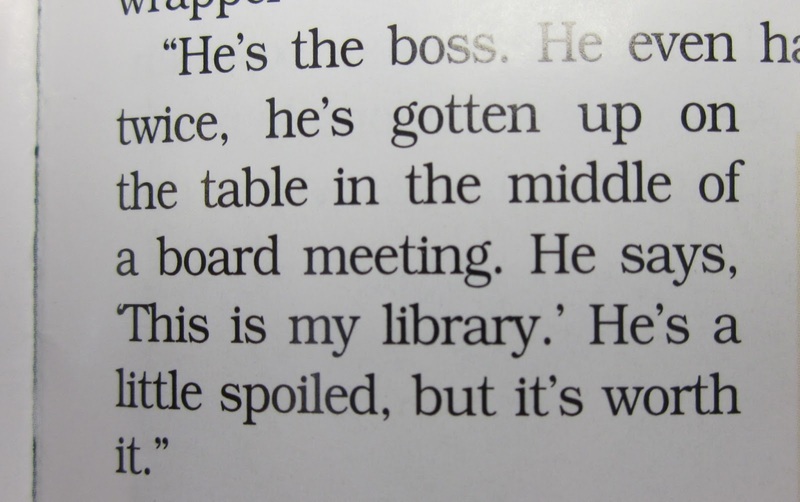 Sounds as if someone is a little jealous of you being Boss,thats what I think. Good luck, Tober, ask that magazine to do a retraction, why don't you? They would probably love to do it and you could get the facts out. Be sure and copy that Memo of yours to the magazine. That is so cool, Tober! Concatulations, as Sparkle the Designer Cat would say. Well-deserved PR coverage of you and your library. I always knew you were super famous, Tober. This just proves it. In writing. Geez, Tober, I can't believe the attitude of SOME journalists! "Jokingly?" "Spoiled?" Hm. At least you look very dignified on the cover photo. 7 day old hailbutt in de ac//heat ventz oh de peepulz offices iz grate... "paybak "
Jokingly needs to be struck from every copy of that magazine! And us cats require spoiling! It is one of the things we were created for! Man, you have more stamina than we do.....still training all your minions. They must be really thick skulled for them to not have learned these things yet! Concatulations on the magazine cover! Tober - you are famous!!! We think that picture is awesome, and we love that even more people will learn your story and maybe visit your library. Libraries are fantastic, we visit ours every week! !